The Misty Meadows Farm of today doesn’t look like what you might imagine when you hear the term “community horse center.” In addition to a 5,000-square-foot house and pool, there’s a fourteen-stall, 7,500-square-foot heated barn and stable with a skylight, tack rooms, and an office and lounge. 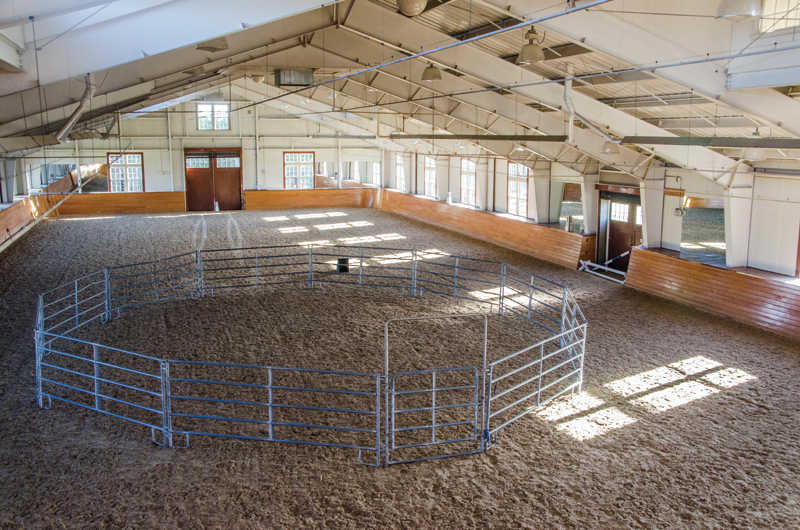 The indoor arena has a vaulted ceiling, a heated viewing loft, a high-tech lighting and sound system, and mechanized screen doors. The property itself is five-and-a-half acres in West Tisbury and includes a long-term lease on twenty acres of Sheriff’s Meadow’s South Pasture. It abuts endless miles of trails in the Manuel F. Correllus State Forest. “It’s to die for,” said lifelong horse enthusiast Sarah McKay. At the end of January the nonprofit center launched two four-week pilot programs on this land, and if all goes according to plan, it will continue to provide affordable horseback riding lessons and 4-H instruction for the children of Martha’s Vineyard. The center also plans to offer an equine therapy component for those with special needs. McKay, the leader of a seven-person task force that is overseeing the project, hatched the idea with property owner Carol Kenney. “What they’re doing is off the scale,” McKay said. Kenney and her husband, Jerome, purchased the farm in 1999 and spent millions of dollars modernizing it. Prior to that, it had been a major public center for horseback riding since the early 1970s. It was at Misty Meadows that many Vineyarders were introduced to a love of riding, some of whom now teach at other horse farms in operation. It was also where the Kenneys’ own daughters learned horseback riding when the family first came to the Island in the early 1990s. The Kenneys have offered the $5.5 million property to the center for $3.5 million, and are contributing additional money to an operational endowment. The task force is seeking to raise another million, and will further fund the nonprofit activities by closing the center in the summer and renting the house on the property. This off-season schedule also minimizes the center’s competition with other horse farms on the Island, said McKay. 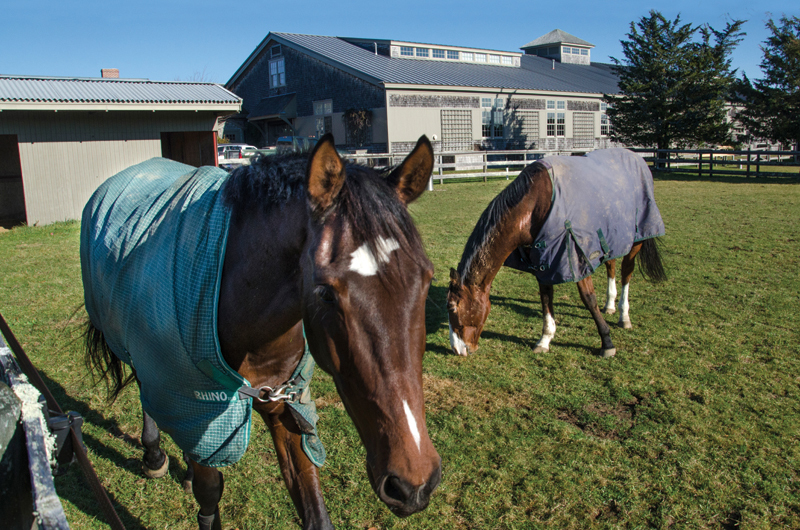 “One of the things we are really trying to accomplish is to help regenerate interest [in riding] that will ultimately help other barns that exist on the Island. So the riding program here is going to be the very beginning stages,” and will encourage kids to continue riding at other barns. In a further nod to cooperation, the task force said it intends to provide scholarships for those barns to run their own clinics and programs.